Anything else I find in my fridge or pantry to throw in is just an added bonus! J has been under the weather so instantly knew that fresh ginger root would play a role in this soup due to its natural immune boosting properties! For those of you that do not have an Instant Pot, this soup can also be made on the stove top. Juicing is a big part of my life. 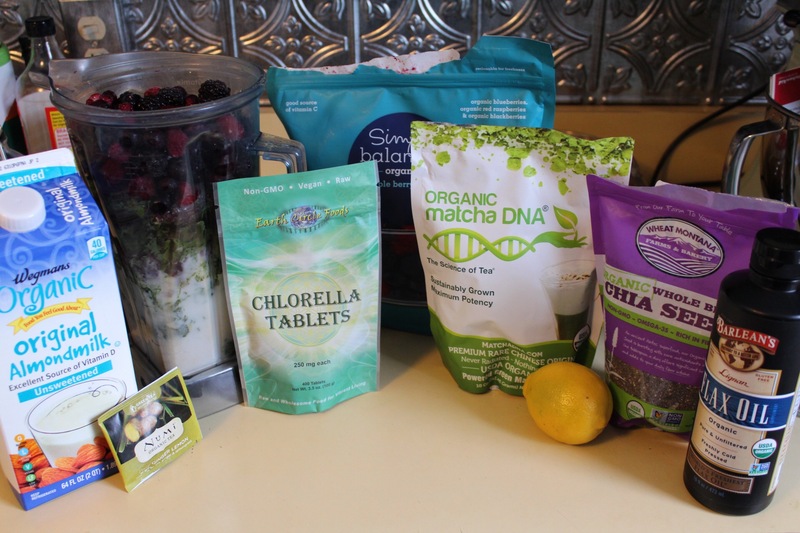 Where many of you can’t begin your day without your favorite cup of joe, my go to morning beverage is a green tea berry smoothie. J and I are not big coffee drinkers, but don’t get me wrong, I love the smell and taste of fresh brewed coffee. For me the crash I experience after caffeine does its magic, feels much worse that the tiredness I battle with when first waking up. As I suffer from low energy, a weakened immune and fatigue, I’ve found that juicing is a great way to naturally boost my energy without relying on caffeine. I also swear by it to help me ward off illnesses during peak cold and flu seasons. We’ve been fortunate enough to have a Vitamix on loan from friends for the past year, and I can say we’d be lost without it. I attempted making fresh juice everyday but it started to be a pain. 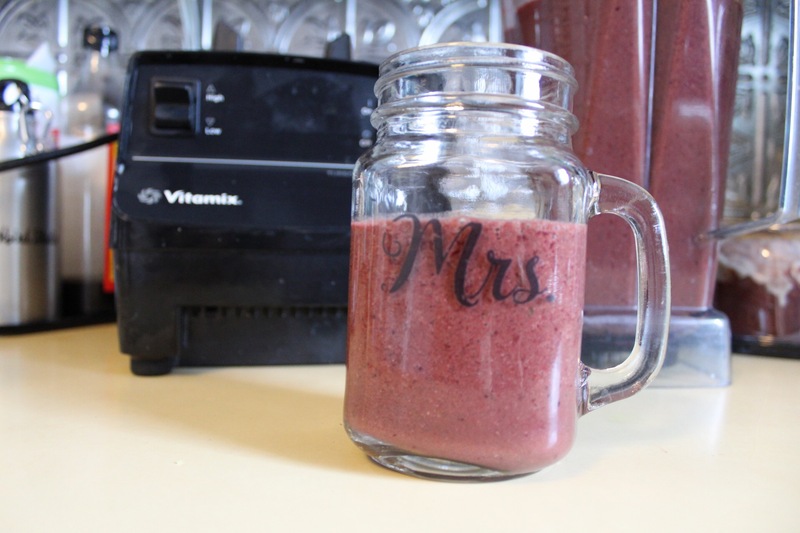 With the Vitamix we’re able to make six servings of juice or smoothie at a time, which we store in mason jars in the fridge, allowing the two of us to have a healthy breakfast option for three days. The longer fresh juice is exposed to air, the more health benefits it begins to lose. But three days is a pretty safe bet in most of the resources that I’ve found. 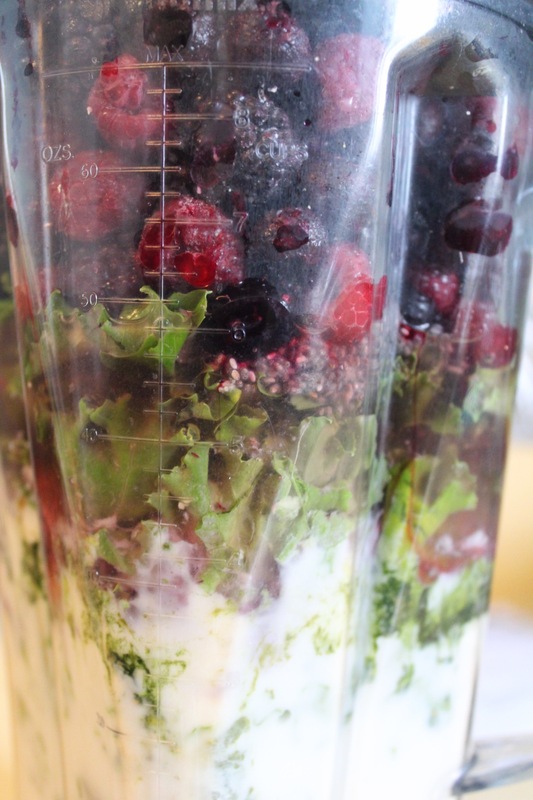 My tried and true recipe for our daily smoothie is loaded with antioxidants from berries and green tea. Green tea has also been shown to aid in combating some cancers. I also rely on fresh ginger to help give my immune system a boost. Here is a basic recipe followed by optional add-ins (that we do include each time we make this). 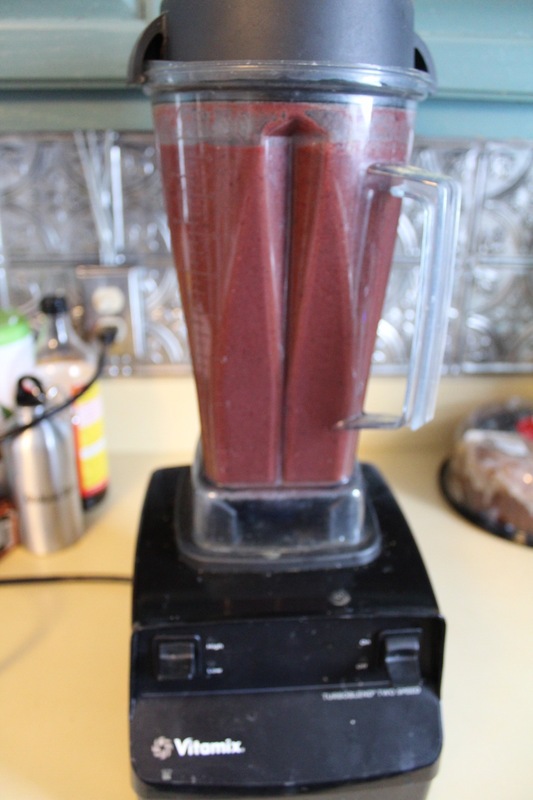 Fresh ground cinnamon to taste (did you know cinnamon can have AMAZING health benefits? 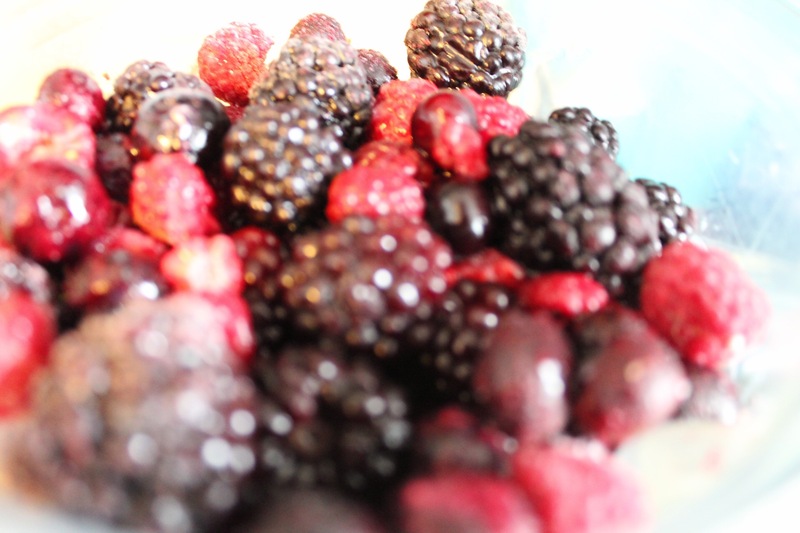 We do not sweeten any of our juices or smoothies as we find the fruit to be sweet enough. If you like things on the sweeter side try adding in raw agave, honey, or maple syrup. A couple of tablespoons should do the trick! Enjoy as your morning breakfast or as a mid day snack! *Disclaimer: please note, I am not sponsored by any of the products used on this blog. Any products used have strictly been of my own choosing/research.